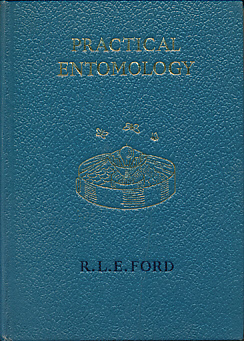 Barter Books : Ford, R L E : Practical Entomology. A Guide to Collecting Butterflies, Moths and Other Insects. London. : Frederick Warne & Co.
12 plates from photographs and 36 line drawings in the text. 180 x 120 mm (7 x 5 inches) - 198pp. Blue/gilt decorated hardback cloth cover. VG : in very good condition without dust jacket. Label of previous owner on fep.